The online discount does not apply to this item. The EJE M15W was developed specifically for use in small and medium-sized businesses with occasional need for goods transport with a simple weighing solution. 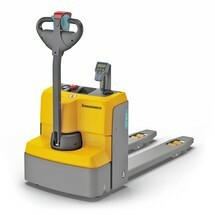 The 0.6 kW drive motor assists you in transporting pallets and goods weighing up to 1,500 kg over short distances. 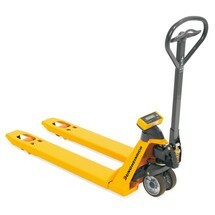 The integrated scales allow you to move and weigh your goods with a single device. 4 weighing cells ensure optimum results with 1 kg display increments and a maximum deviation of 1% across the entire weighing range. The other weighing functions include automatic and manual zero correction, automatic tare and automatic deactivation of the scales after 5 minutes of non-use. 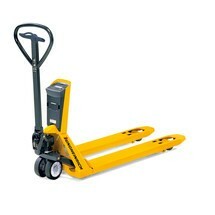 The ergonomic tiller handle can be operated with either hand for convenient access to all functions. 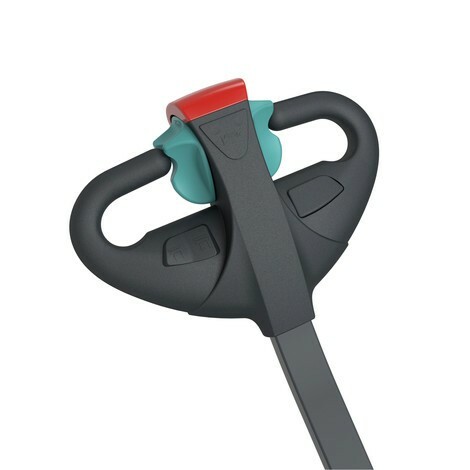 All important control instruments, such as the battery charge indicator, hour meter, emergency disconnect and key are positioned centrally in your direct field of view. 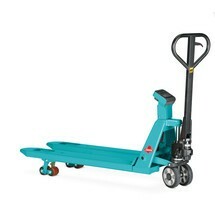 The low-mounted tiller reduces the amount of effort required for steering. Thanks to its compact design and short headlength of just 455 mm, the EJE M15W is extremely agile and can be used safely in even the tightest of spaces. You retain an optimum view of the fork tips at all times. 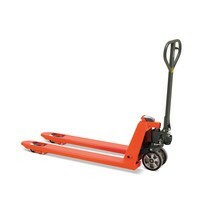 2 sprung support rollers ensure safe travel with reliable stability in corners. Further protection is provided by the complete panelling of the truck housing. The low ground clearance of just 35 mm greatly reduces the risk of foot injuries. The truck switches off automatically when not used for 30 minutes. This intelligent automatic shut-off helps to protect the battery. In combination with the on-board charger, the maintenance-free lead-gel battery ensures utmost flexibility and can be charged simply via any 230 V socket. There is no need for time-consuming battery water replenishment. 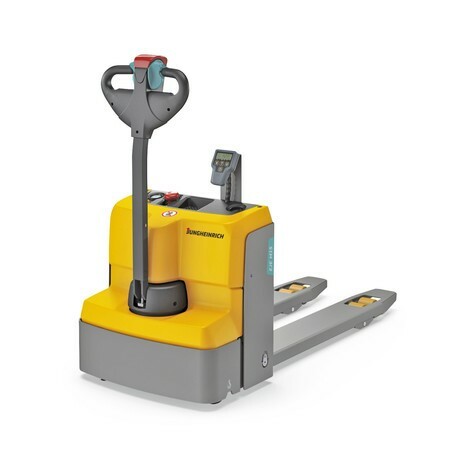 Enjoy a cost-effective entry into the Jungheinrich electric pedestrian pallet truck range by purchasing the EJE M15W with weighing scale from our shop.